Pulkovo airport, which serves Russia’s St. Petersburg, is committed to reducing aircraft turnaround times to 25 minutes for Pobeda Airlines, the low-cost subsidiary of Aeroflot Group. The move is understood to have resulted from the airport’s agreement with the airline, whose strategy it is to make Pulkovo its second base after Moscow’s Vnukovo. 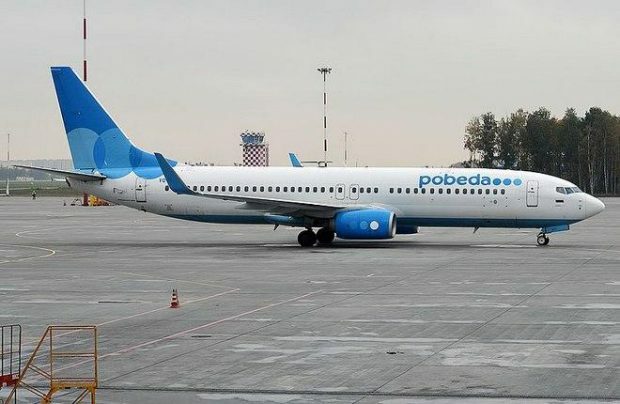 Pobeda has recently announced a significant expansion of its network from Pulkovo and a threefold increase in the total number of flights from St. Petersburg. In response to this, Vladimir Yakushev, head of the airport’s management company Northern Capital Gateway (NCG), said the airport had made an effort to satisfy all of the LCC’s requests, primarily in terms of reducing aircraft turnaround times from its normal 50 minutes to 30 minutes. The effort required a change in the airport’s operational processes. At a press event held jointly by Pobeda and Pulkovo, the airline’s CEO Andrey Kalmykov called airport the carrier’s “second home”. Some of the airline’s flight and cabin crew are stationed in St. Petersburg. Out of its target traffic of 6 million passengers, Pobeda expects 1 million to travel through St. Petersburg, or more than twice as many as last year (463,600 passengers). According to NCG, in the first two months of the year Pobeda’s traffic through Pulkovo reached 117,900 passengers, up 65% on the same period last year. In response to the demand for cheaper international flights, Pobeda launched several international routes from St. Petersburg this summer. This would have seemed a desirable development path for the carrier’s partnership with Pulkovo, should the airport have opted for building a dedicated LCC terminal as part of it ongoing construction project, slated to begin next year. However, the air gateway has not yet revealed its plans, citing the need for further consultations on economics. There are several more discounters (to an extent) flying to Pulkovo: Fly One, Wizz Air, Buta Airways, airBaltic, and Vueling. NCG believes they all use the same infrastructure as the full-service airlines, but the airport provides ways to save costs by offering alternative ground handling procedures for the LCCs. Pulkovo is the base airport for Rossiya Airlines, another subsidiary of Aeroflot Group, which serves 49 destinations from St. Petersburg. Last year the carrier generated roughly one half of all traffic through Pulkovo. Jointly with Aeroflot, S7 Airlines (which increased its network to 12 destinations year-on-year), Ural Airlines, and UTair Aviation, Rossiya served 9.7 milion passengers in St. Petersburg, or 60.4% of Pulkovo’s total traffic. This year Pulkovo recorded a new trend: its carriers launched services on the same routes with their competitors.